Samsung Gulf Electronics has announced the opening of its second Galaxy Studio in Manama. 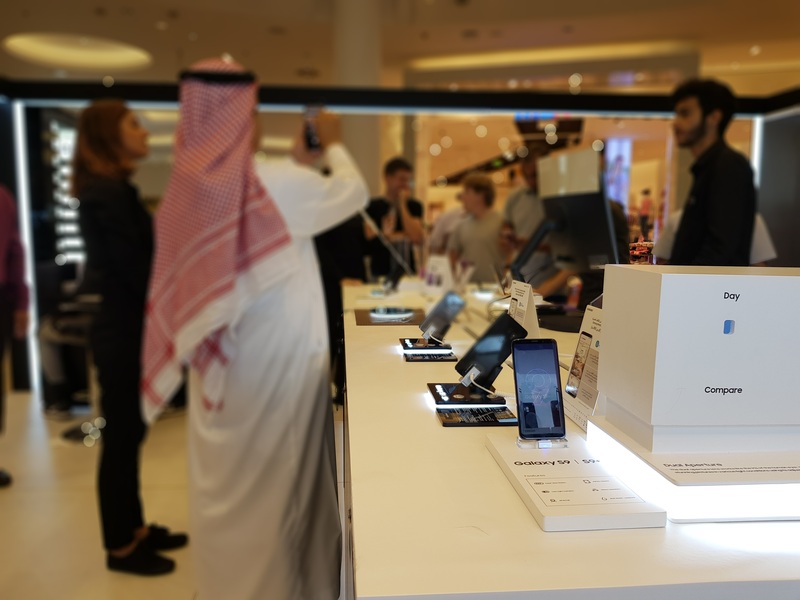 Located at City Centre Bahrain, the Kingdom’s largest shopping, leisure, and entertainment destination, the Galaxy Studio is designed to bring consumers closer to the Samsung Galaxy Ecosystem of products than ever before through four exciting interactive zones. These include hands-on experience table, as well as a zone to experience Bixby Translate function and super slow motion zones among many others. Other unique Samsung zones include the AR emoji zone, where customers can create a personalized emoji using the Galaxy S9 or Galaxy S9+. They will also have the option of sharing their AR emoji across their social media channels. Visitors can also create their own GIFs in super slow-mo by incorporating loops, rewinds and more. In addition to this, Samsung enthusiasts are invited to explore the slow-motion function of the Galaxy S9 and Galaxy S9+. Here they can interact with props to create slow motion videos that represent them in an unusual or exciting new way. The Galaxy Studio is located in the Costa Dome at the City Centre Bahrain. Visitors from across the nation and beyond can come and see all that is on offer between April 10 and April 23 from 10am until 10pm.